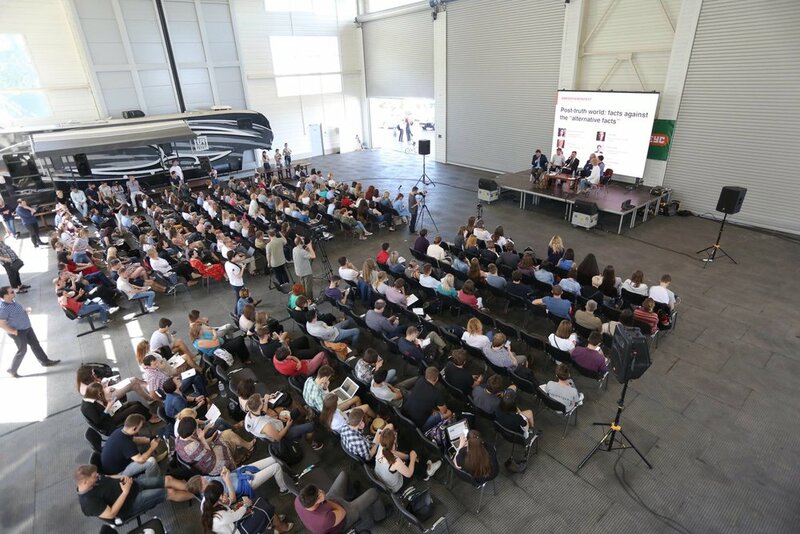 MezhyhiryaFest is an annual investigative journalism conference organized by MDF and Yanukovych Leaks, held at Mezhyhirya, the residence of former Ukrainian president Viktor Yanukovych. The festival is split between a day of plenary discussions and 1-2 days of masterclasses and expert sessions focused on speciﬁc topics (e.g., working with open data, using oﬀshore registries). It brings together investigative journalists, media professionals, policy makers, experts and researchers, based both in Central and Eastern Europe and globally. The goal is to discuss the most pressing issues for investigative journalism, identify ways to address challenges (incl. policy recommendations), exchange know-how and best practices and create connections for future cooperation. MezhyhiryaFest has seen over 1,400 participants from over 20 countries since it was first launched in 2014. Past participants have come from: OCCRP, ICIJ, CNN, The New York Times, The Washington Post, Novaya Gazeta and top Ukrainian investigative newsrooms incl. RFERL, Slidstvo.info, Nashi Groshi, and Ukrainska Pravda. Together with partners MDF organizes an annual award ceremony celebrating the best Ukrainian investigative journalists and - from 2019 - the best investigative journalists from the Central European and Eastern Partnership region. Our partner media organization Ukrainska Pravda also awards the Gongadze and Sheremet prizes (named in honor of murdered journalists Georgiy Gongadze and Pavel Sheremet) for top Ukrainian investigations at the ceremony.